In the early 1970s, when he was still an aspiring, unpublished writer, Felice Picano began a remarkable relationship with an extraordinary animal: a days-old kitten slated for euthanasia who refused to perish. Rescued, named, and trained, Fred became an extraordinarily intelligent companion, ally, teacher, and constant wonder to the author as he began his ascent through the Bohemian circles of Greenwich Village, among musicians, actors, curious characters, and even the famous British actress in hiding right next door. But when an acquaintance brought his female cat to be serviced by Fred, an entire new set of experiences opened up for the cat - and for Picano, who'd never had the nerve to befriend her owner, his ideal man. The course of love seldom runs straight for cats or for men, and this time would (hilariously) prove no different. This is another of Picano's distinguished portraits of a vanished era, when a new gay domain was solidifying only a few years after the Stonewall Riots, and the still nascent gay literary world that Picano would help invent was just a conception. 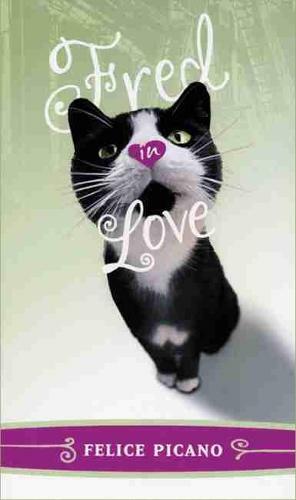 Fred in Love is a charming, nostalgic, funny, gossipy, involving, and ultimately enlightening story about how we learn and grow, and how we love - whether the object of our affection is a cat or another human being. It is sure to take its place next to Picano's now classic literary memoirs.